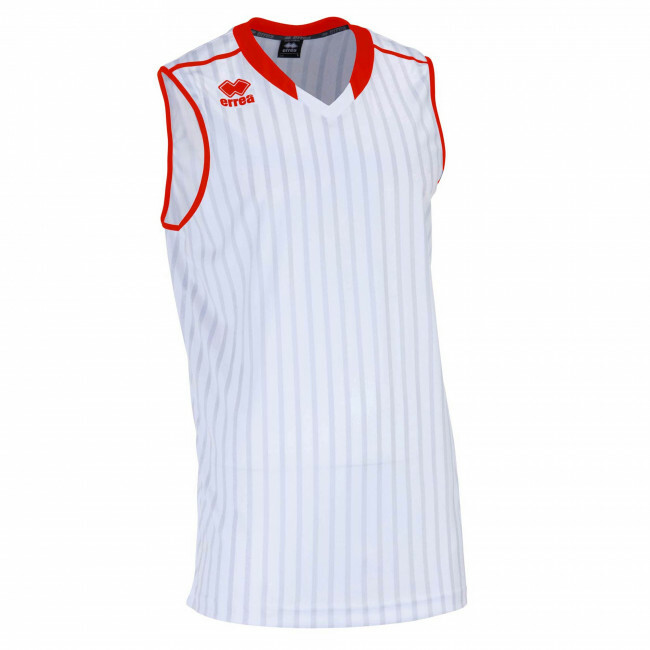 Unisex basketball sleeveless jersey for adults (for men and women). Made with sublimation printed fabric. V-neck. Normal fit. Specially designed for basketball. It has a vertical stripes classical design, but don't let it fool you: Atlanta is a men's basketball jersey that offers the very best to the most demanding basketball players. This basketball sleeveless jersey by Erreà is made of a soft and breathable fabric, characterised by micropores that facilitate and quicken sweat evaporation. Of course, it is also stretchable to smoothly follow your movements without hindering you or slowing you down. Loose and comfortable fit: it leaves you ample freedom of movement, even for the arms, allowing you to unleash the strength within you and to score points even under the most difficult conditions. You can create your own basketball uniform matching this jersey with the Atlanta shorts by Erreà.